Every student at the University of New York in Prague is assigned an Academic Advisor from the very beginning of the course of study. Academic Advisors are a key feature of studying at UNYP, and a major educational support function for all our students. 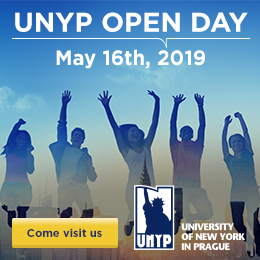 The presence and work of the Academic Advisors strongly aligns with the mission of the University of New York in Prague and with its focus towards supporting, advising, guiding and maintaining a strong relation with all its students throughout their study in Prague. All students will meet with their Academic Advisors individually several times each semester. The Academic Advisor is the first point of contact for any student having academic issues, needing advice for his/her studies or seeking guidance for his/her study path.